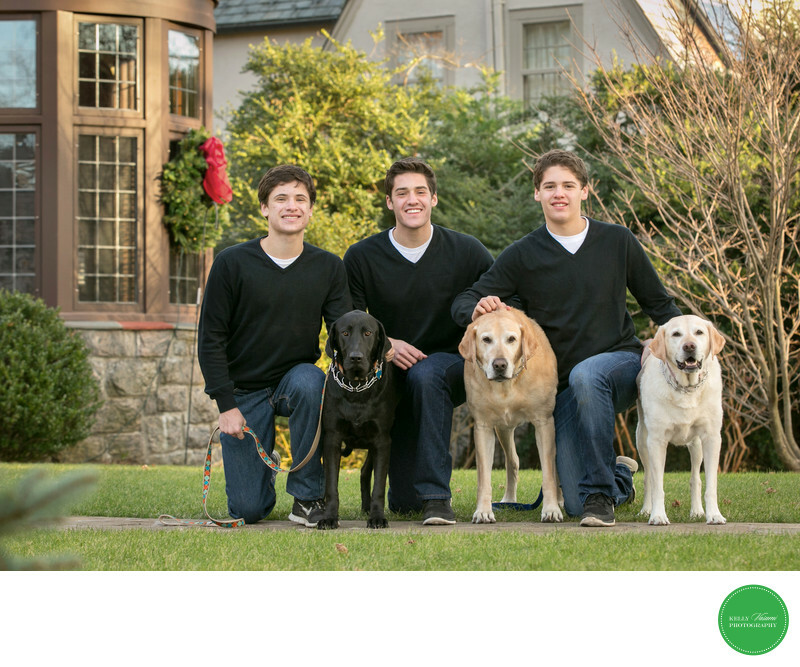 Three handsome brothers posed with their three dogs. All are dressed in dark jeans and black v-neck sweaters with white shirts underneath. This lineup would make any parent proud. It's important to remember to continue photographing your children when they are fully grown. Every age is precious.